Selling six million games could be considered a failure. For Nintendo, this holiday season will determine whether 3DS sinks or swims. Over the past several months, the company and its dual screen handheld have been on the receiving end of negative criticism for just about everything, from the infamous U.S. launch to the headache causing 3D effects. Now, fans have a ton of promising games to look forward to in 2012, including Luigi's Mansion 2, Kid Icarus: Uprising and Animal Crossing 3DS. First, they'll get to enjoy the system's two most highly anticipated games, Super Mario 3D Land and Mario Kart 7, launching November 13 and December 4, respectively. Make no mistake, the system's future rides on the success of those two potential hits, quite simply because Mario is Nintendo's ace in the hole. Consider the numbers of games past. Mario's last DS adventure, New Super Mario Bros., sold over 18 million units, while Mario Kart DS cracked 20 million in December 2010. Compare that to Sony's celebrated Uncharted series, which has sold a respectable eight million games combined. That said, hopes are high that a double dose of Mario this busy shopping season will be enough for throngs of new customers eager to get their hands on 3DS and its games. With this in mind, we have to wonder what Nintendo considers a success. To be fair, the big N had sold significantly more DS systems by the time New Super Mario Bros. and Mario Kart DS arrived. Based on those ridiculous sales figures, though (we're talking nearly 40 million units from just two games), there exists a real possibility that selling three million copies apiece for Super Mario 3D Land and Mario Kart 7, excellent numbers for any company not named Nintendo, just wouldn't be good enough. If that's the case, and Mario is unable to give the publisher a necessary boost, we highly doubt one or two games in the 2012 lineup will perform better. 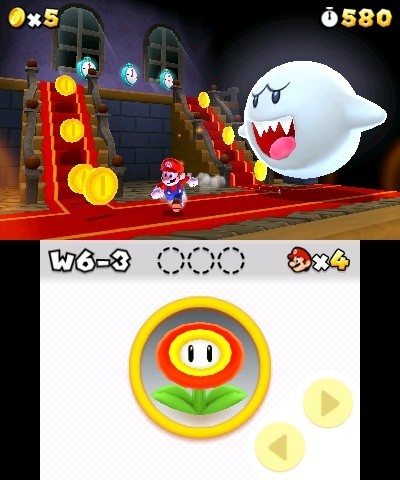 Not only that, but it would put a serious dent in Mario's currently impenetrable exterior. The day the company mascot fails to carry the publisher to the promised land would be a dark one, indeed. For Nintendo's sake, we hope the plumber has enough star power to keep 3DS around for years to come.